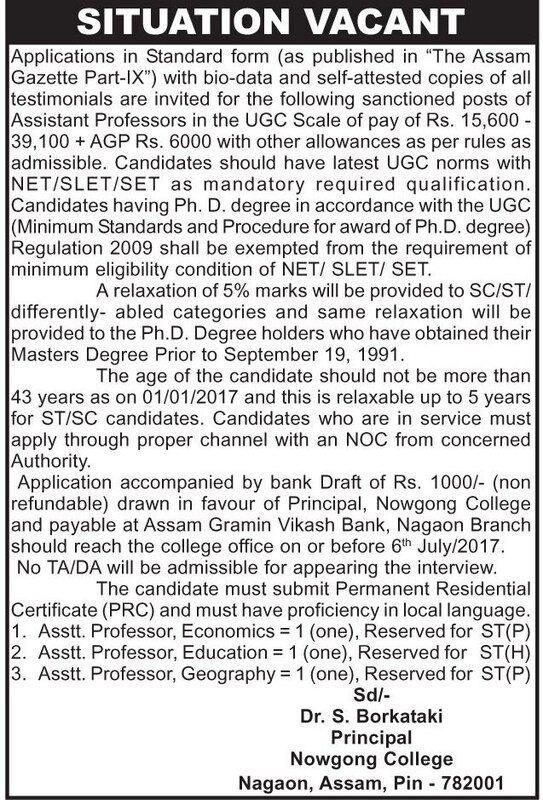 How to apply: Applications accompanied by bank draft of Rs.1000.00(Rupees Two thousand) only (Non-refundable) drawn in favour of Principal, Nowgong College, Nagaon-782001 payable at Assam Gramin Vikash Bank, Nagaon Branch must reach the college office on or before the 6th July 2017. The candidate must submit Permanent Residential Certificate (PRC) and must know local language. In service candidates must apply through proper channel with an NOC from concerned authority.